Al-Ameen Eating House is a famous supper spot along the crowded Cheong Chin Man Road, where there are also many other eating places housed along that road. You will always find it packed to the brim even late past midnight. Al-Ameen primarily sells a wide range of Indian food such as roti prata, naan, thosai and curry dishes. Besides Indian food, they also sell Muslim food such as nasi briyani or maggi goreng. You’d even be surprised to find that they even sell Chinese, Thai and even Western dishes! However I wouldn’t really recommend ordering those dishes here, just like how you wouldn’t order prata at a steakhouse. This is one of my favourite supper spots, mainly because of how near it is to home and how yummy the food is! I used to come here all the time during my university days, joining my friends for late suppers past midnight where we would talk about school, life and all sorts of nonsense. Ah the nostalgia! Whenever I came here, my favourite combo to order would be the cheese naan and chicken marsala. Sadly the consistency of these dishes fluctuated wildly. 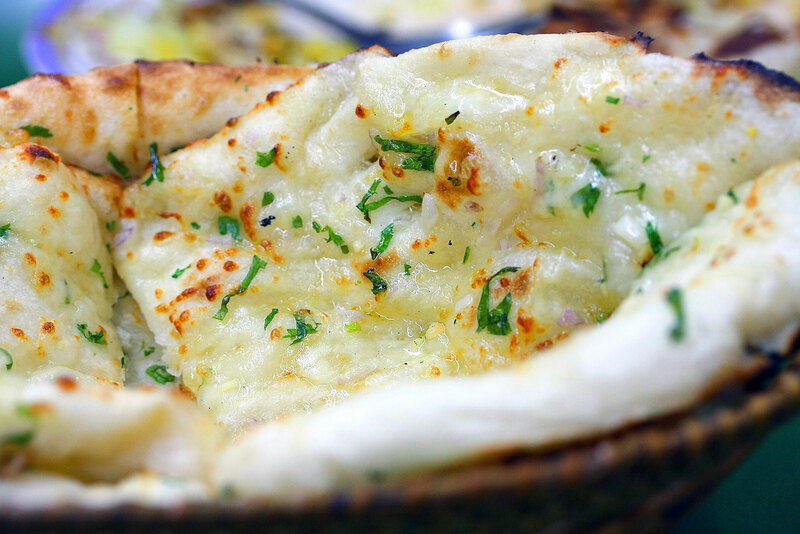 On its best days, the cheese naan was light and fluffy, the cheese melted and glistening, both giving off that irresistible aroma which made everyone at the table lunge for it when it arrived. The chicken marsala is a deliciously rich curry, however more on the aromatic spices side rather than being overwhelmed with coconut milk in it. 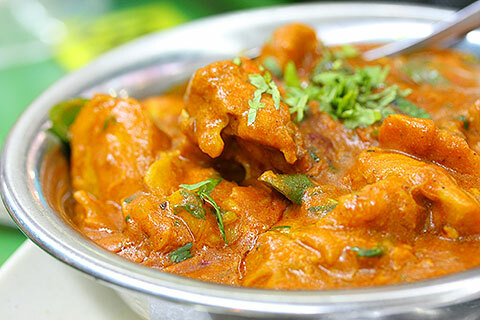 Filled with lots of boneless chicken chunks, it goes extremely well with the cheese naan. Although recently Al-Azhar, its competition further down the road, has been drawing the crowd over from Al-Ameen, this place is still the stalwart for NUS undergrads to have supper! 12 Responses to "Cheese naan & chicken marsala"
Yah most people will whack the Niqqi’s Cheese Prata shop. I feel that Fong Seng Nasi Lemak is just way-overpriced! this place is near my school 😀 shall check that cheese naan out! Yes you must because it’s so yummy! But note they only start making it after like 6pm or so. That means you can only eat it for dinner or supper. Maybe after a project that ends late into the night!